“Like a good CSI episode.” That’s how one of my friends described this book. I agree with him. The writing was capable, informative, and overall entertaining. However, the plot was entirely predictable and the female characters had no umph. What got me to read this book was Stephen King’s quote, “Best…medial thriller I've read in 25 years. Terrifying OR scenes, characters with real texture.” This reminds me why Gabrielle Zevin’s character A.J. Fikry called these blurbs “the blood diamonds of the book industry”. First, 25 years is a long time frame; this book was okay, but I hope it isn’t the standard for medical thrillers. Second, “character with real texture” is a push. The main character, maybe. All the others? They are pretty thin, especially the women (both in development and author’s male-oriented description). Surgery wise, this book is great. I love going into the operating room scenes with this author. The terminology is lush with detail, bringing us right into the blood and guts without pulling punches. The author makes no amends for the plethora of medical terms, and I’m grateful for it. I have my doubts about letting a Chief Resident have this much reign in a hospital, but I’m willing to disbelieve. I have a quote to replace King’s: “the most predictable book I’ve read this year”. I opened the book, I knew how it would end. I think I set a record. The author laid out every stereotype possible and fulfilled each one. Don’t get me wrong, it was still a lot of fun and I was entertained, but no guesswork was involved. 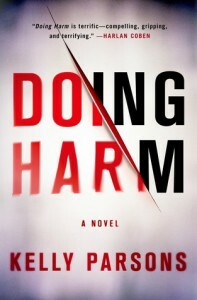 Bottom line: if you enjoy medical thrillers, this one utilizes accurate terminology in an entertaining manner. Don’t expect any shockers and you’ll be quite satisfied. Thanks to St. Martin’s Press for sending this book over for review. It was fun, especially the OR parts.